CCTV, China’s state broadcaster, has discovered genetically modified rice being sold in two southern provinces, the second such allegation it has made in two years at a time when public opinion seems to have hardened against the technology. An investigative report aired last Saturday said GM rice was found in the market in southern Hubei and Hunan province, where rice remains the staple food. The allegation by the television network has been substantiated by the Beijing Entry-Exit Inspection and Quarantine Bureau after samples taken from the two provinces tested positive for GM traces. Genetically modified organisms (GMOs) have stirred an ongoing global debate since their introduction two decades ago. As a deteriorating environment and decreasing arable land continue to threaten the country’s ability to feed the world’s biggest population, China is looking at various measures including GMO technology to cement its agricultural security. In China, GM technology was named as one of the key projects part of the National Medium and Long-term Science and Technology Development Plan, which runs through 2020, and Beijing has vowed to invest altogether 20 billion Yuan in major GM research. In a landmark decision to advance GM technology, the Chinese Ministry of Agriculture in 2009 granted safety certificates to two strains of GM rice and one GM maize — a move widely interpreted as a signal that the country might soon apply GM technology to its staple food. 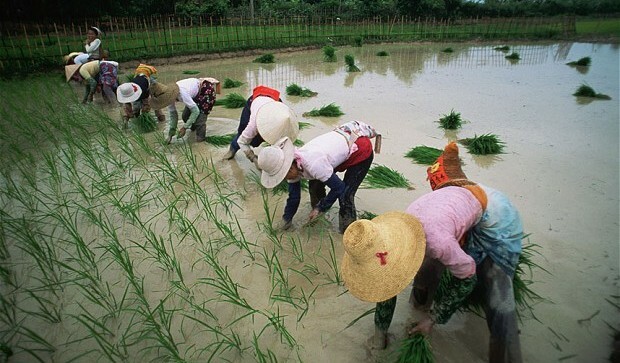 But GM rice is an especially sensitive because it is widely consumed in much of southern China and by a vast majority of Han people in the north. The Chinese Ministry of Agriculture maintains that GM rice is still at a research stage and said any commercialisation of it would be illegal. Despite that, CCTV’s report over the weekend, if proved to be true, would highlight the management hiccups behind a state-backed undertaking that might take years to get public on board. “I think the [GM] technology has already spread out and once GM products are out, it’s hard to recall them […] most of the rice in Hunan, Hubei, Anhui and Fujian have been contaminated,” the broadcaster quoted a Shanghai-based rice company executive as saying towards the end of the special report. China is already the world’s largest importer of GMO soybean, with annual imports accounting for about 60 percent of global traded soybean.